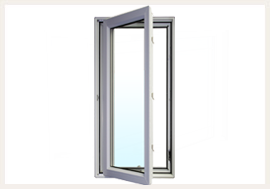 Casement windows are a great choice because they offer an unobstructed view of the outdoors thanks to the handle that is used for opening this particular type of window. 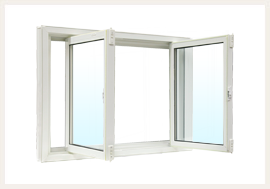 Casement windows can open to the left or right. 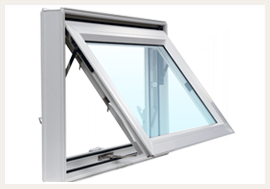 Awning windows offer ventilation and light without the worry of rain entering your home by opening from the bottom up. 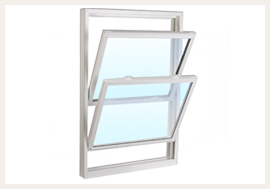 Double hung windows are the most classically chosen windows on homes today. 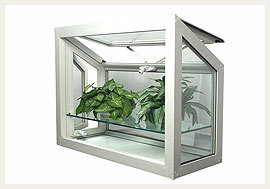 They offer ventilation from the bottom or from the top allowing you to control the ventilation in your home. 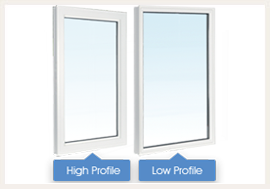 Single home windows are one of the most classically chosen windows on home today. The bottom moves up to allow ventilation into the home. Double tilt slider windows opens sideways and into a room which is a great easy cleaning solution. You have the ability to open one or both windows at once. 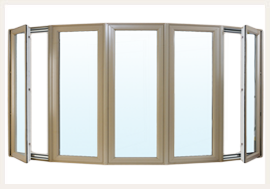 Single tilt slider windows have one window panel that remains immobile while the other can open to the side or into the room offering an easy cleaning solution. 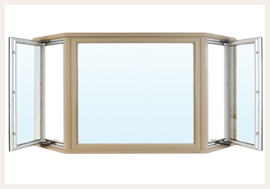 Double lift out slider windows have both panels moving side to side over each other and can be easily removed for maximum ventilation. A variation of the double lift out slider, the single slider tilt and lift opens sideways over one panel but can also tilt into the room for easy cleanup, the second panel remains immobile. Low profile fixed windows are great for locations where ventilation is not a requirement and they are great for letting in maximum light. 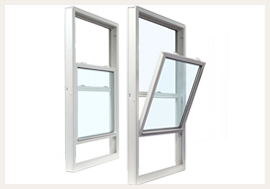 Low profile fixed windows are immobile and pair well with awning windows. High profile fixed windows are great for locations where ventilation is not a requirement and they are great for letting in maximum light. 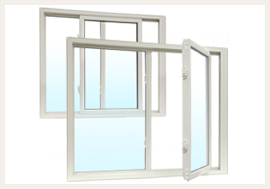 High profile fixed windows are immobile and are typically matched with casement windows. A bay window creates a unique design for the home by adding space and letting in more light through its unique design. 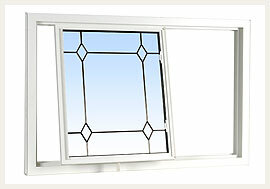 Bay windows consist of one large immobile window in the center and casement windows on each side. 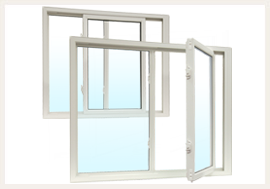 Bow windows consists of several adjoining window units that form a curve. 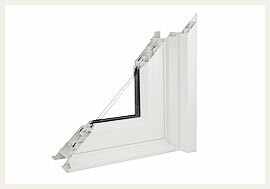 The window units can be immobile, venting or a combination of the two. Greenhouse windows, also known as garden windows, are a more affordable alternative to a greenhouse and a great way to grow plants in the home during the winter months. 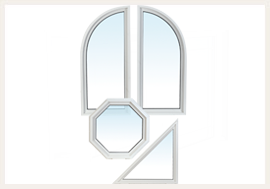 Custom shape windows are a great method of adding character to a home. They come in various shapes that can be formed into a plethora of combinations to create a unique appearances for your home. 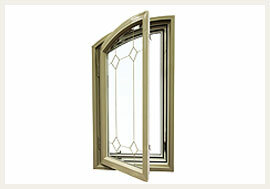 Camber casement windows are casement windows curved upward. They are fully functional and add elegance to the home. 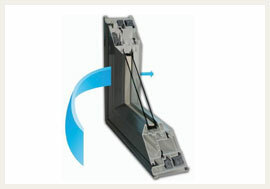 The Antartik system is a molding that can be used with any window type. It adds 1.5” of depth to the frame and moves the glass closer to the warmest side of the wall. 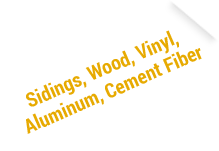 Eti foam is used increase the insulation and improves overall window performance.